In 1998 a woman posing as a hospital worker walked into the University Medical Center, now known as U.F. Health Jacksonville (Fla.), and told a new 16-year-old mother that her daughter, Kamiyah Mobley, who was just hours old, had a fever and needed to be treated. The woman left the mom’s recovery room and walked out of the hospital with the newborn baby. 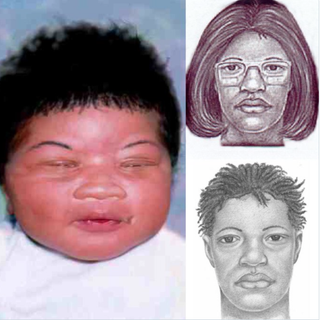 For years the mother, Shanara Mobley, believed that her child was alive, and on Friday, law-enforcement officials announced that 18 years later, Kamiyah has been found. Police officials also announced that they have arrested a suspect. Gloria Williams was arrested Friday and charged with first-degree kidnapping and third-degree interference with custody, prosecutors said, the International Business Times reports. Williams allegedly took the newborn from the hospital and had relocated to Walterboro, S.C., where Kamiyah Mobley had been living under a false identity and believing her alleged captor to be her mother. Police announced that Kamiyah Mobley’s biological parents were overjoyed to learn that she’d been found alive, but added that no reunion had been planned. Whether or not Kamiyah Mobley wants to meet her birth parents will be solely up to her, since she is now an adult, police officials said.